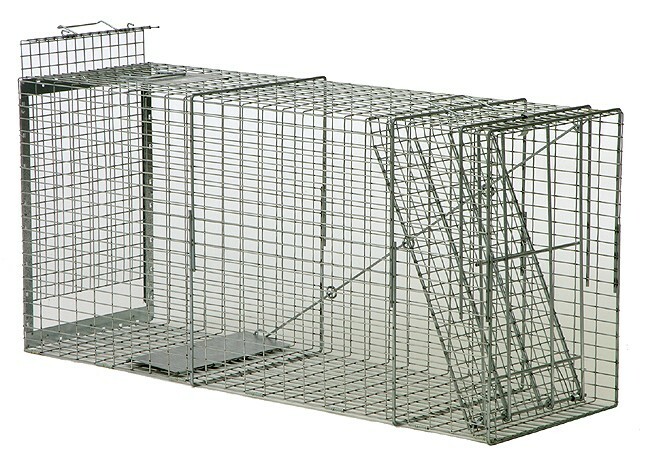 TRAP DESCRIPTION: 20" Wide x 28" Tall x 60"Long. With a sliding access door on the back of the trap. Having this door makes it easy to bait the trap, or transfer/release the animal. Made of 12 Gauge wire this is the 2nd Largest Trap Available. This is made for the Big Dogs! This is a great trap for animals which are long. It has an easy to set hook design which holds open the spring loaded door. There is a locking device which will prevent the door from opening once it closes. This is important when dealing with large and strong animals which have the ability to roll a trap over. Once the door on this trap closes, the animal is caught for good. WHERE TO USE IT: Anywhere the problem animal frequents. RATE OF APPLICATION: One or more. 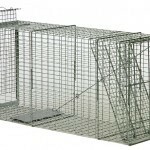 This varies depending on the number of animals in the area, the number of locations you want to place the trap, and how quickly you want to remove the problem animals.